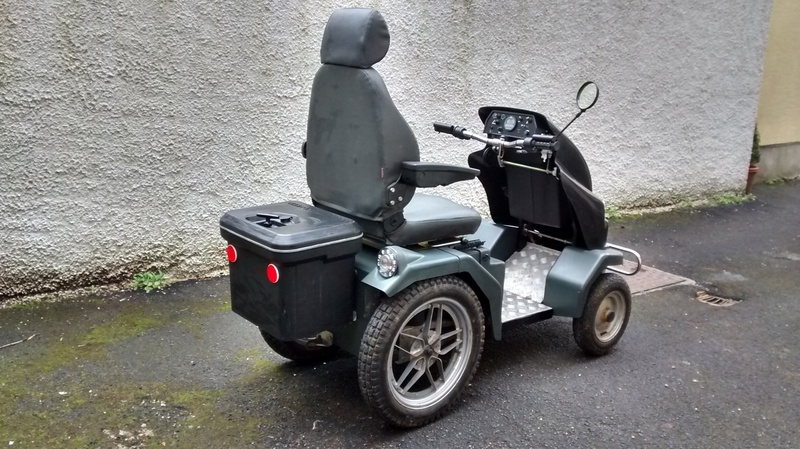 Tramper all-terrain mobility vehicle. Good condition, high specification. VIN/ Chassis No. 13X001279 Recently serviced. 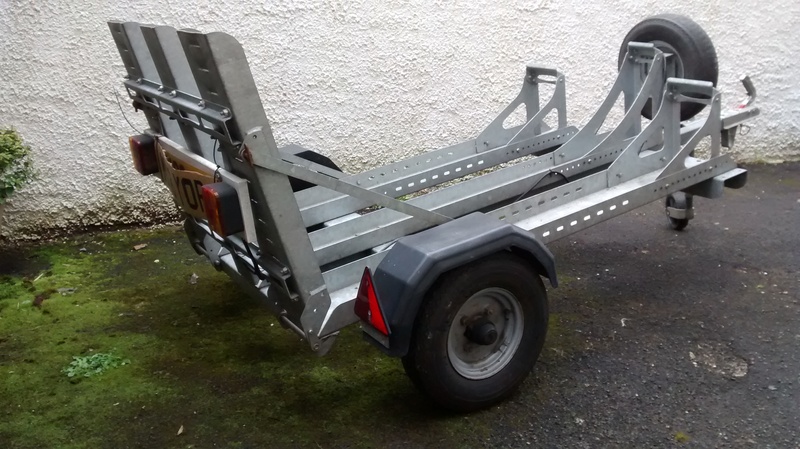 Includes trailer to tow Tramper. Tramper Mark 2, with several up-grade additions to the standard model. 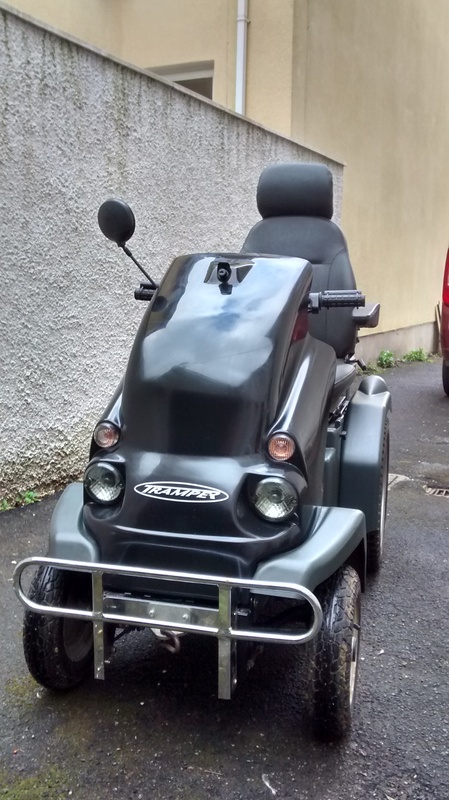 Bought new, now 5 years old, not been used much in last year as I am becoming more disabled, which is the reason for the sale. At the recent service by a Tramper engineer, no problems were detected and the battery was declared fully functional with a likely 5 more years of life before replacement needs to be considered. Kept on constant recharge as recommended by Tramper. 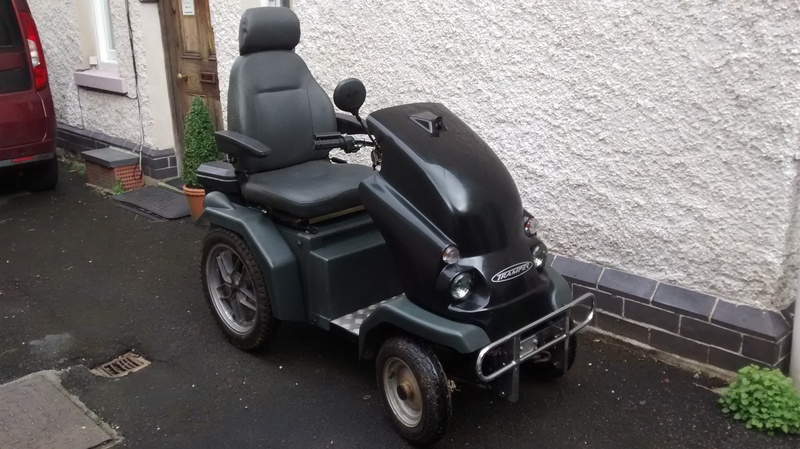 Additions include: swivel seat, picnic box, tow hitch, bull bars, full 4 – 8mph selector switch, selector for right or left hand drive, installed 12volt cigar lighter for phone charging or heated blanket, etc., both left and right wing mirrors, (picture only shows one). Lights and indicators. 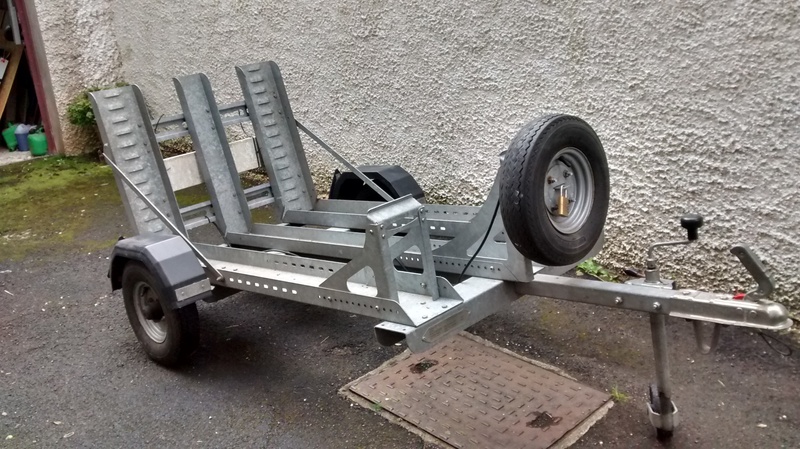 Official Tramper Trailer to transport Tramper included, with cover for Tramper during transport, tow hitch lock, spare wheel secured by combination lock, belt to secure Tramper to the trailer. Please see Tramper website for a full description of what this vehicle can do. It has been a marvellous way for me to continue those country walks that my wife, family and friends and I so enjoy. This entry was posted on 15/04/2019 at 16:45 and is filed under For Sale & Wanted. You can follow any responses to this entry through the RSS 2.0 feed.